As an agent, you’re consistently looking for ways to get your services and your listings noticed. One way to attract attention is to produce fun videos that highlight not only your listing, but also your experience in the market. Armed with a smartphone and a laptop, you have everything you need to create, edit, and publish high-quality videos. Here are three reasons why you need video content in your marketing repertoire. One benefit of real estate marketing videos is they give the viewer a better sense of scale. When people are included in the video, then the scale of rooms and the entire home can be assessed better. Use this to your advantage. For example not filming people inside smaller spaces such as bathrooms, but using them in big kitchens or dining areas to show off the home’s potential for entertaining guests. Create a video tour of the surrounding neighborhood to show the “scale” of the area. It lets your buyers know if the house is on a busy city street, or in a quiet cul-de-sac surrounded by tall trees. 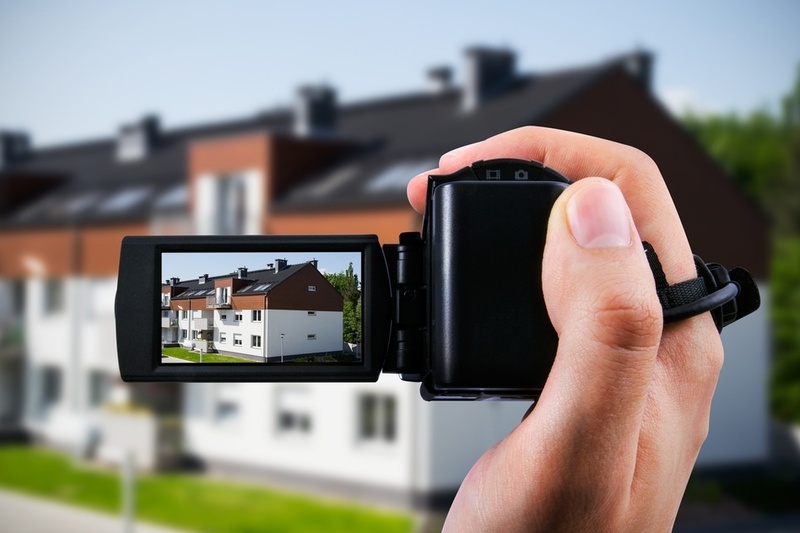 Videos are especially helpful for out-of-town buyers who don’t have much context about the area. You can also develop videos that aren’t property specific, such as “What’s it like living in Lexington, Kentucky.” Doing this can establish you as a trusted neighborhood friend who can provide a sense of history and place. Or make an “About Me” videos that quickly shows your qualifications and enthusiasm. Buying and selling a home is an emotionally-charged undertaking. You can cater to these emotions by creating videos that evoke certain feelings. Consider this video from a realtor selling a home in Glendale, California. It begins with scenes of the neighborhood that frame it as a nice and peaceful place to live. It then moves on to the actual home, and includes shots of people walking through the house and spacious backyard. You can use videos to encourage viewers to have a more emotional attachment to the home because they can “see themselves in it” before they even pull up to the curb. Building these emotions can lead to bidding wars and very satisfied sellers. Compared to static photos, video gives you the chance to add more context and to really “sell” the listing. For example, you can start out listing videos with a brief introduction about you and your qualifications. Talk about how well you know the area and explain how you always negotiate for your client’s interests. With video you are “showing not telling.” Show off your expertise with a fun video where you talk about how great the listing’s backyard is for entertaining. Pro Tip: Selling a fixer-upper? Do a walkthrough video with a builder friend and have them share ideas on transforming the property into a gem. Adding your voice to the video makes it more personal and allows you to add that extra context and flavor. The modern consumer is used to seeing video content that provides them with needed information while offering entertainment. You need to recognize this trend and develop the skills to create and distribute professional and engaging video content to attract buyers and sellers to your properties. Click to tune in on the best ways to create and implement these videos! Need some tips? Download our listing presentation template to help guide you on the best way to showcase your listings.